WE BRING THE EXPERIENCE TO YOU! Our Escape Room is completely mobile - We can transform a room at your office, or use a room at the venue you are based in. Once you have entered The Bank Managers Office and received your brief, the activity begins! Can your team work out the clues and puzzles to firstly access the banks safe and then escape the room? Based on the Escape Room craze sweeping the nation, you are a member of a successful crime syndicate, and your specialty has always been safe cracking. 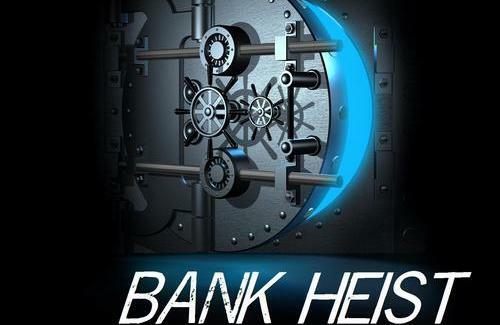 Today, you’ll be facing your greatest challenge yet, as you and your team attempt a heist at Advantage Banking Ltd. Your recon team has just completed phase one of the heist – they have ensured the building is empty and gained access to the bank manager’s office, where the door to the vault awaits. They have assessed the situation and have reported that this particular vault is going to be difficult to compromise. They have discreetly hidden clues, tools and hints around the room which you will need to complete your job as safe cracker. Recon also reports that they have suspended the security system for 60 minutes. After that amount of time, the alarm will be activated, and you will have 5 minutes from that point to escape before law enforcement arrives. If you do manage to enter the vault, you will have to make a crucial decision: take the available money and run, or stay just a little longer to try to significantly increase your take. Clues and puzzles are everywhere - both hidden and in plain sight. The teams must identify and complete challenges, solve clues and work their way through locked cases until they find the code that releases them from the room and completes the game! !